Enjoy an afternoon of fantastic music from your favourite Christmas movies. 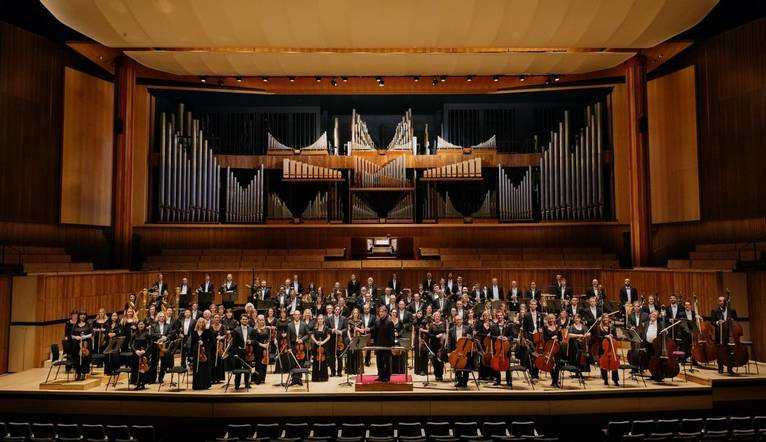 Brand new to our festive music programme, our day trip includes a delicious three-course lunch at the Skylon Restaurant and an afternoon of timeless Christmas music from the Royal Philharmonia Orchestra. Get in to the festive spirit through music! Join fellow music lovers on a Sunday afternoon for a welcome drink at the beautiful Skylon Restaurant, situated on the first floor of the Royal Festival Hall in the South Bank Centre. The restaurant offers gorgeous panoramic views of London; it's here that we can soak up the scenery and enjoy a three-course lunch before taking our seats in the auditorium for the performance at 3pm. Be treated to an afternoon of Christmas music with a difference. The Royal Festival Hall is a wonderful 2,500 seat concert venue located in the South Bank Centre. Founded in 1945, the world class Philharmonia Orchestra performs around 40 concerts in the South Bank Centre every year and proudly presents a magical afternoon of timeless Christmas delights from some of our favourite festive films. Pete Harrison conducts a programme stuffed full of well-loved and familiar compositions including Home Alone, The Polar Express, Love Actually, Harry Potter, It's a Wonderful Life, Elf, White Christmas, The Snowman and many more. Dress will be smart casual, however, gentlemen are requested to wear a shirt and tie for lunch and the performance.